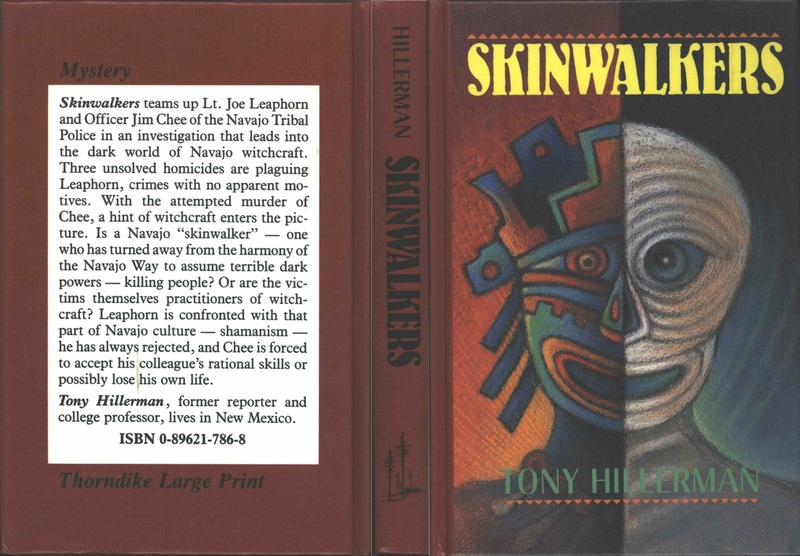 This is the full and detailed views of the dust cover for the large print hardback edition of Skinwalkers. This edition was published in 1986 by Thorndike Press in Thornedike, Maine. Design and Photography Credits: The cover was designed by Armen Kojoyian and features a illustration of a a figure with two faces. One half of the face is colorful with a crown and necklace and the other half is made of white swirls. 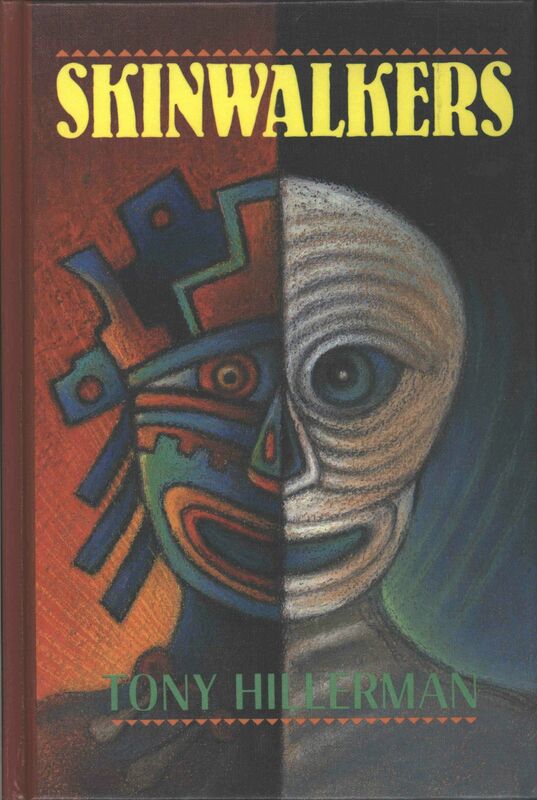 The image on the cover is interesting because it does not seem to be a skinwalker. A skinwalker is usually described as naked, except for a coyote skin, or wolf skin. This figure is obviously not wearing a wolf skin and so probably is not a skinwalker.